This 304sqm well-presented first floor office suite consists of a combination of partitioned offices, reception area open plan space, perfect as a corporate head office or HQ address. Interior glass doors dividers provide ample natural light with other features including reverse cycle A/C, carpets, window treatments and 9 onsite car bays. This ideal location is close to major arterial roads including Erindale Rd (400m) Reid Hwy (800m) is located 15min (approx)drive from Perth CBD. 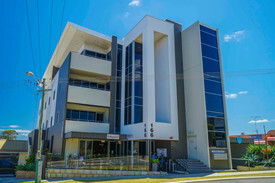 Sale Price - $900,000 plus GST - Vacant Possession. For lease at $54,720pa plus outgoings $27,930 (approx) plus GST. 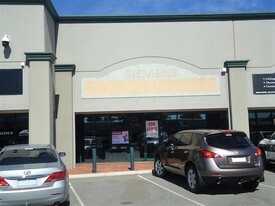 Located on Balcatta's busiest street, this elevated 370sqm showroom offers great visibility and access to Erindale Road. Rent is $44,400pa + Outgoings $16, 704pa (approx) + GST Features include; Evaporative air conditioning. Real roller door.